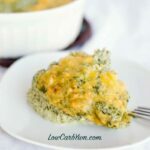 Try this warm low carb and gluten free cheddar broccoli spaghetti squash casserole as a side or main course dish. It takes little time to prepare the dish! 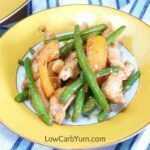 Have you ever bought produce and then just didn’t get the time to cook it? I seem to do it all the time. It’s been a while since I made spaghetti squash so I picked up a small one during my weekly grocery trip. The weather that week ended up being hot, muggy, and close to 90°F. Needless to say, I really wasn’t in the mood to cook up spaghetti squash even though we do have working central air conditioning for our house. We are pretty conservative about using the air conditioning and only turn it on when it gets really uncomfortable. Just closing the windows and pulling down the cellular blinds, particularly on the west facing windows done wonders for keeping the heat out. Spaghetti squash doesn’t go back quickly so it was still good after sitting on the counter for over a week. I finally got around to baking it this weekend when the temperature outside was much cooler. 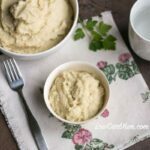 I prefer to roast spaghetti squash in the crock pot as it’s the easiest method I’ve tried. You can find the instructions for this method in my Crock Pot Spaghetti Squash recipe post. It does take a little more time than using the oven, but I find it much more convenient. Spaghetti squash can release a lot of water during roasting, especially if you use the crock pot method. Since I didn’t want my casserole to be runny, I let the spaghetti squash strands sit in a towel lined bowl for a bit to absorb most of the water. The anti-caking powder needed for pre-grated cheese always adds some carbs. That’s why I hand grate the cheese myself with a box grater. 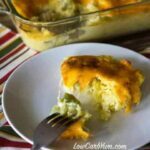 Although this is a broccoli spaghetti squash casserole, I added a little cauliflower too. I had some that needed to be used up and I figured it would be a great addition. 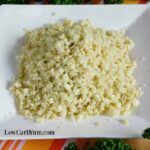 It was a total of about 1 1/2 cups of broccoli and cauliflower mixed. 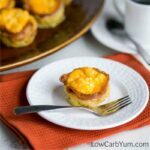 Low carb casseroles are known for the excess of cheese and this one is no different. 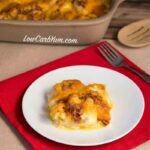 I added an additional four slices of sharp cheddar cheese on top of the casserole. The base of the casserole had white sharp cheddar and I used a yellow sharp cheddar for the top. Feel free to use your favorite cheese to suit your own taste. 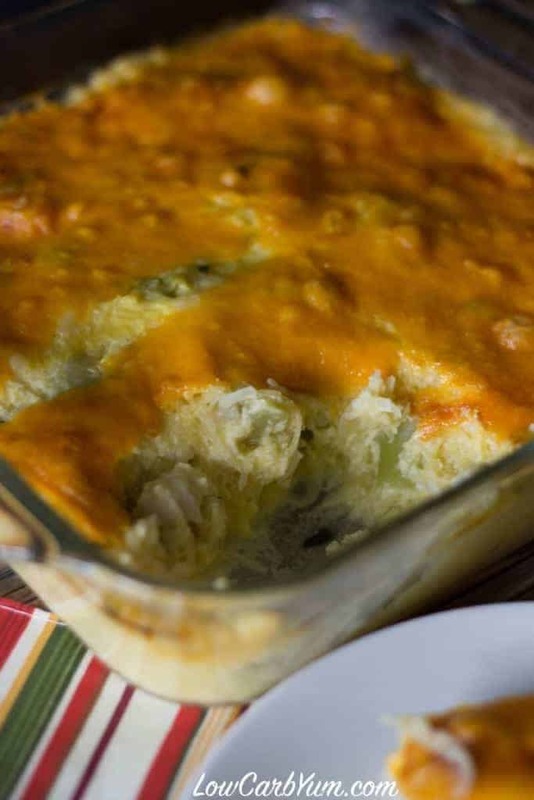 The cheese browns up nicely in the oven and let’s you know when to take out the casserole. 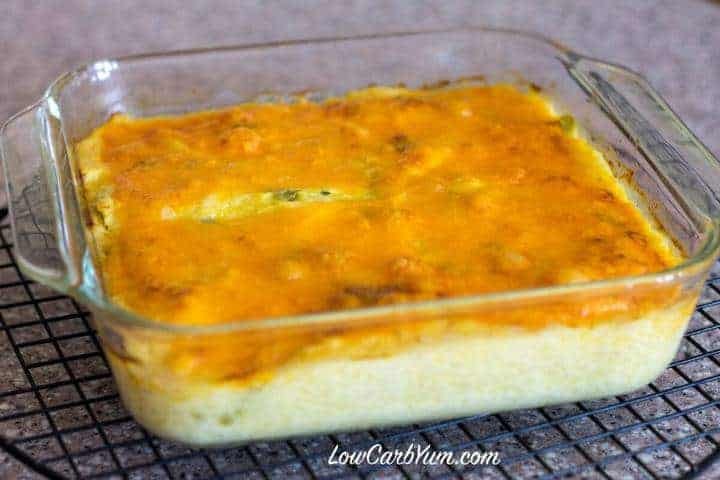 I purposely made this cheddar broccoli spaghetti squash casserole on the small side. 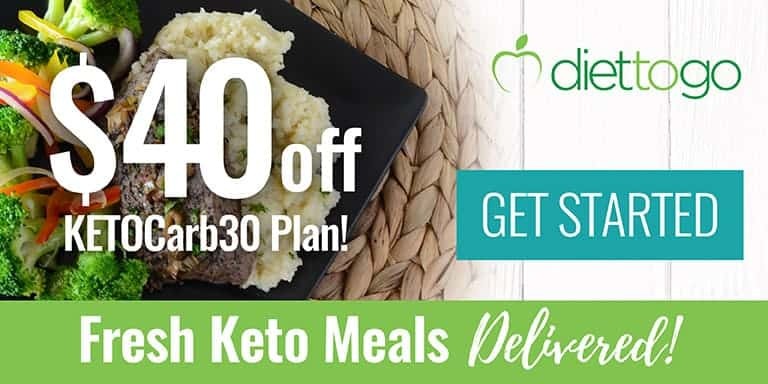 You can easily double the recipe if you want the traditional 9×13 casserole size. 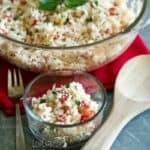 This would be a fantastic casserole to make in the casserole crock pot and serve at a party or family gathering. 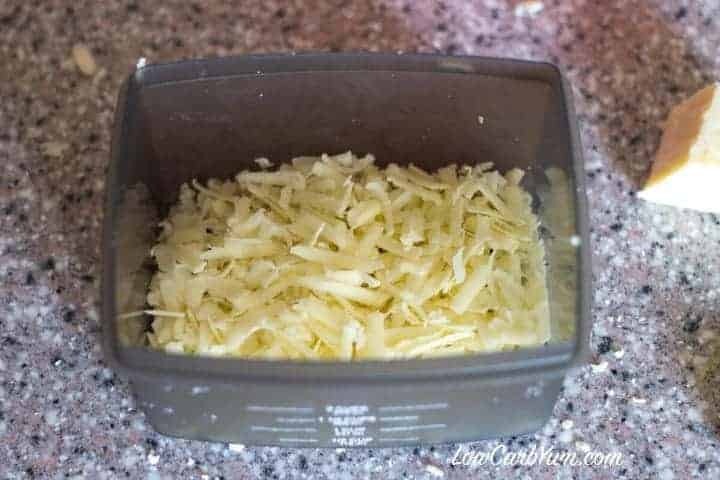 Although the cheese may not brown as well in the crock pot, the crock is oven safe so you could brown up the cheese in the oven if needed. 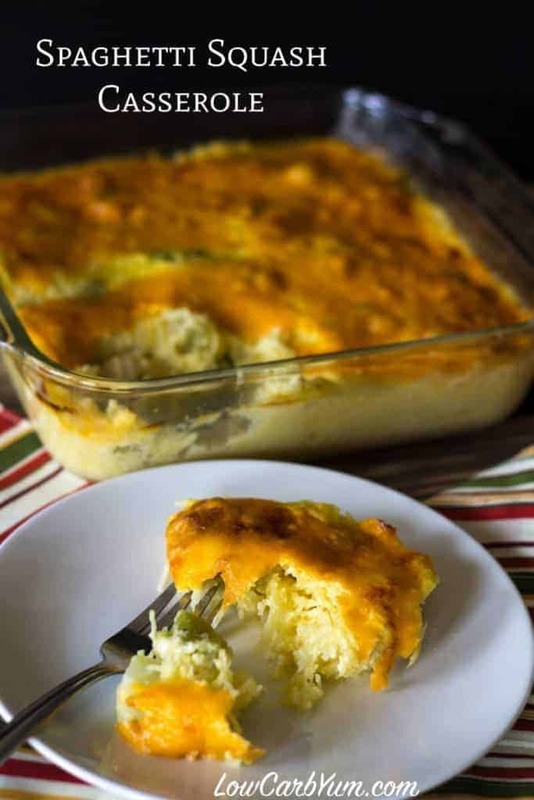 I may make this spaghetti squash casserole for our family Thanksgiving. 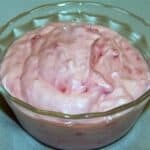 It is a delicious side dish for turkey. 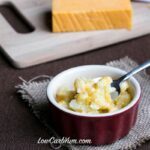 I’m always looking for easy casseroles to make for the holidays and this is one that will be saved on my list. 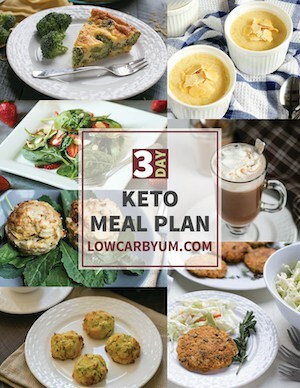 Can you believe it’s already that time of year again where we need to think about holiday food? I’m actually starting to do a little holiday shopping even though we are still a few months away. You can never start to early. Driving home from work the other day I heard the DJ mention that some people have their holiday shopping finished. Who gets it done this early? I am far from a procrastinator, but I’ve never finished my holiday shopping by mid-September. That’s just crazy! I was tempted to pick up another small spaghetti squash on a recent trip to Trader Joe’s, but then I remembered how long it took me to cook this one so I refrained. I am ready to make another spaghetti squash dish, but it may have to wait a few more weeks. 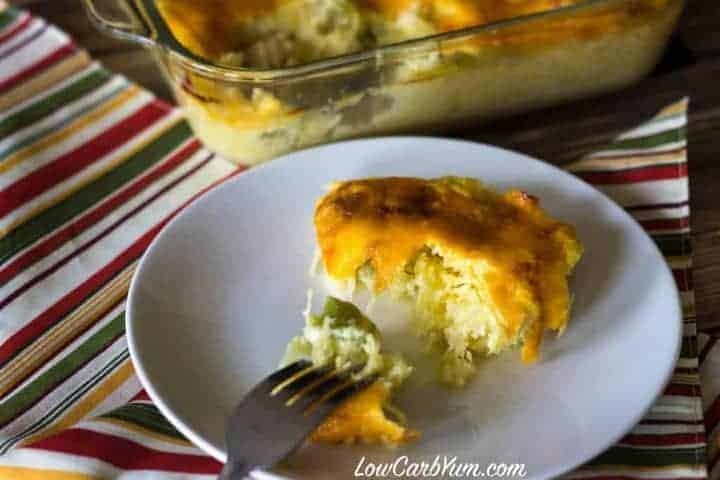 It used to be a little difficult to find spaghetti squash in the grocery stores if it wasn’t in season, but most of the stores seem to have year long suppliers now. I’m sure the big gluten-free trend has something to do with it as the strands of spaghetti squash are an inexpensive replacement for pasta. 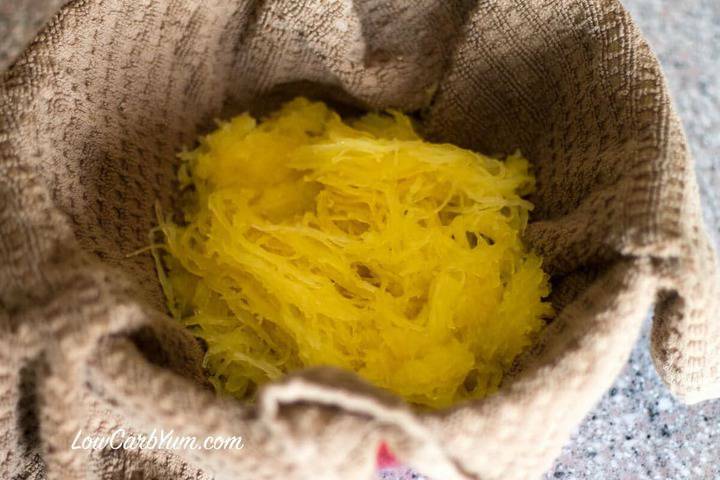 Place strands of spaghetti squash into a towel lined bowl to absorb extra liquid. 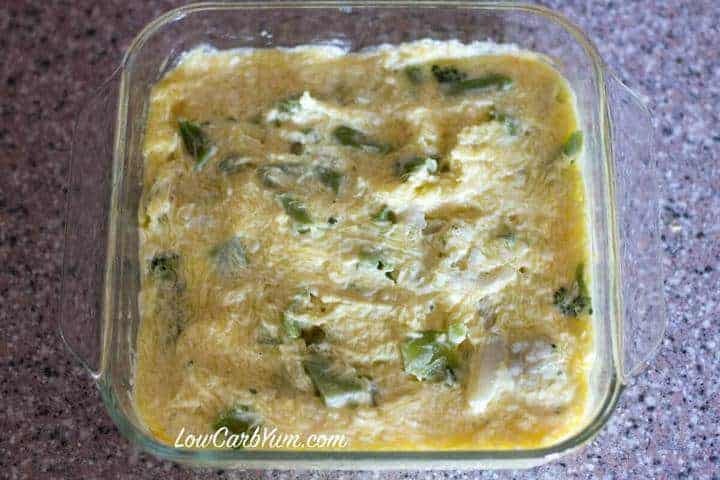 Remove towel, then add steamed broccoli, sour cream, shredded cheese, egg, garlic powder, salt and pepper. 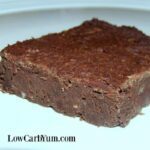 Spread mixture out into an 8x8-inch baking pan. 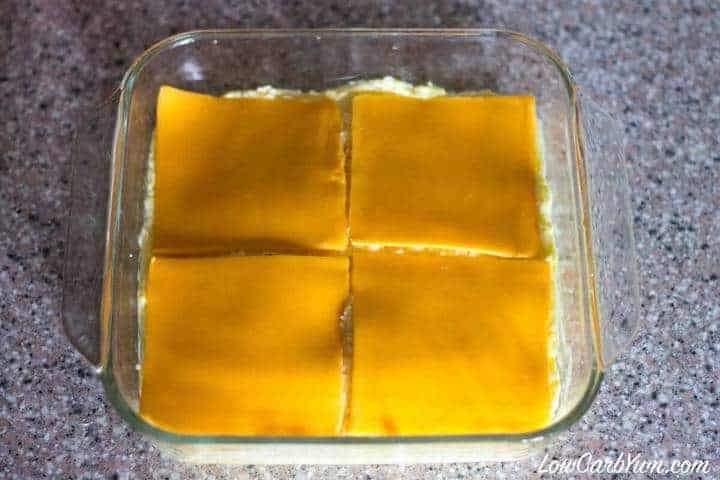 Bake at 375°F for 30-35 minutes or until cheese is browned.